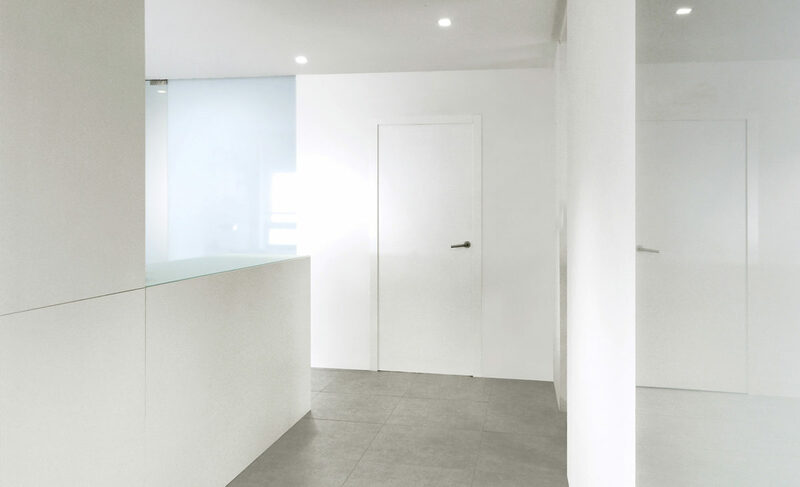 The Zurbaran Clinic, in a minimalist fashion, combines different shades of white for a delicate contrast and a gentle mixture of materials. 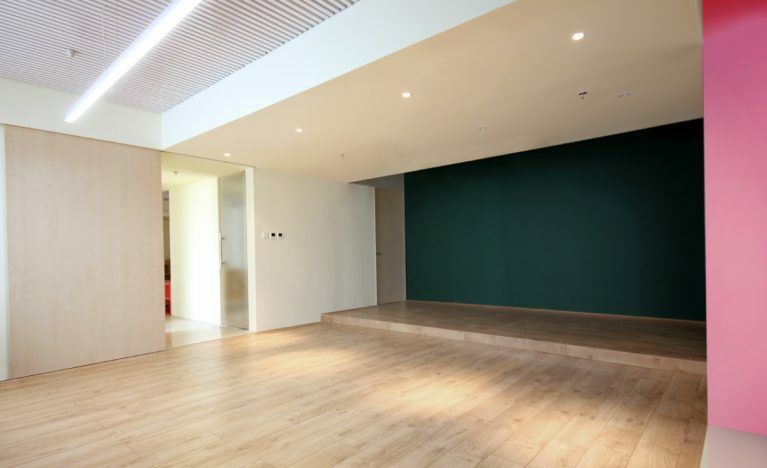 The result is a sleek space, fully integrated with the furniture, which guarantees a sense of purity and spaciousness. 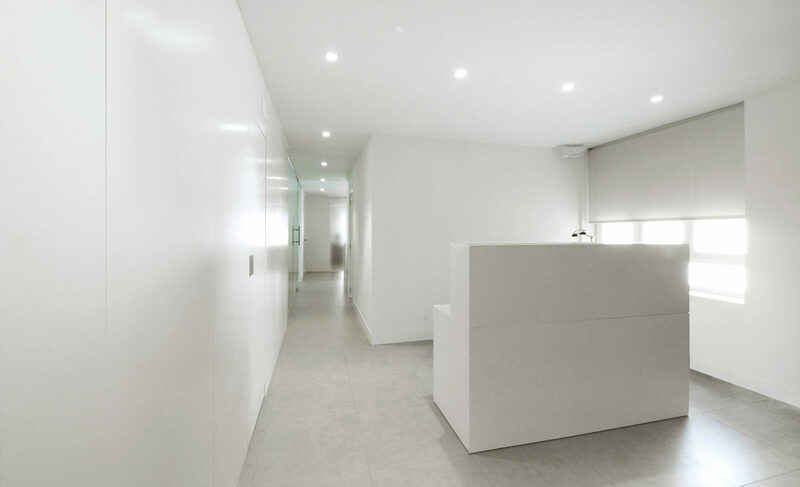 This clinic is located in the mezzanine of a residential building near the Castellana Avenue, in the heart of Madrid. 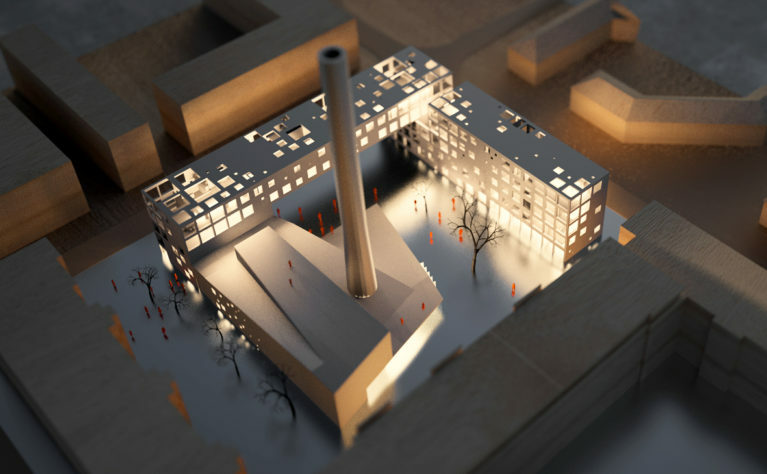 The space is indirectly illuminated through several, generous patios projecting a homogeneous light, intensified by the ubiquitous white colour. 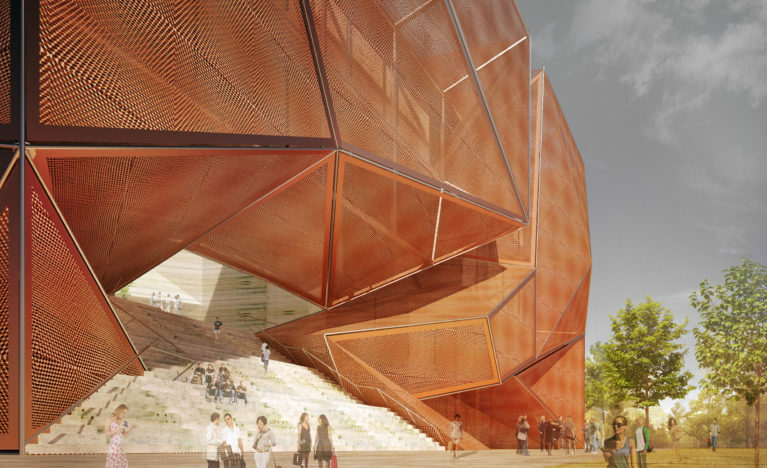 The arrangement of space is based on a double circulation: one for the private rooms for staff and doctors, and one for the public areas. 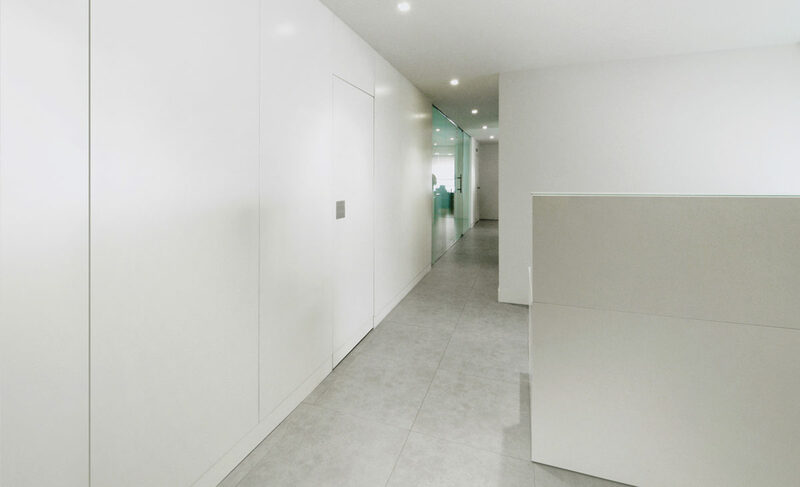 The minimalistic style of the interior and the predominance of white are subtly contrasted by the different finishes of the materials, from glossy to matt, and by the translucent glass-walls enclosing a surgery room. 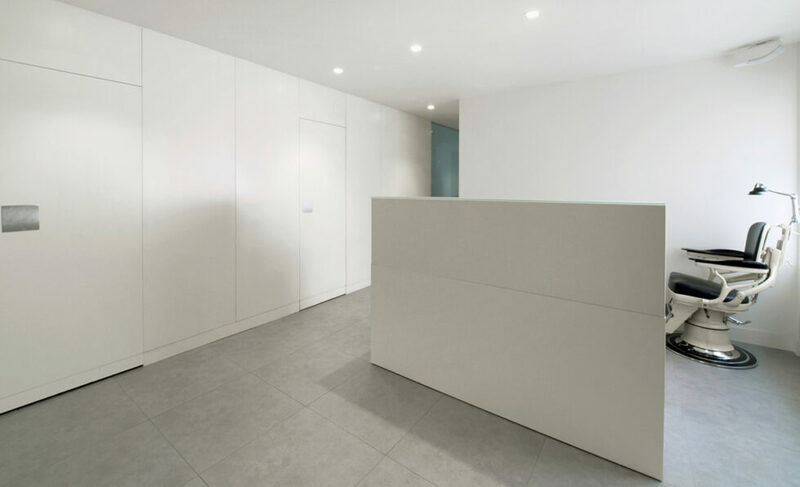 From the reception area, where a simple piece of furniture functions as an information desk, the patients enter a neat, sober environment that intends to convey the professional and hygienic character of this private health centre. 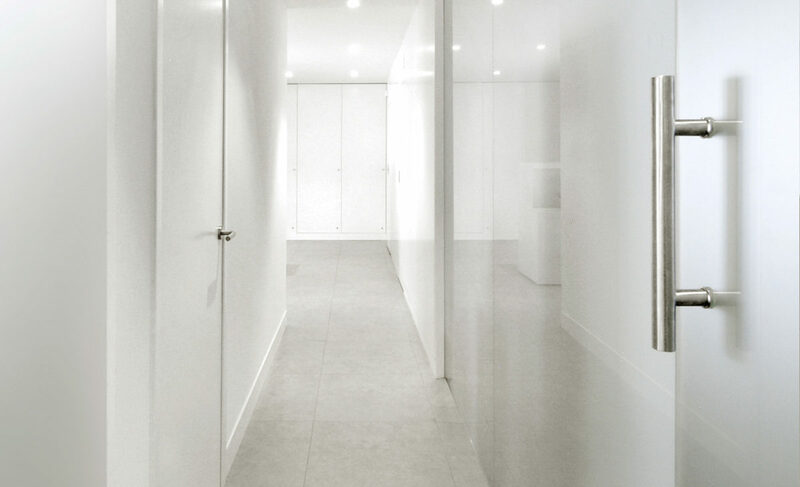 A combination of opaque and translucent planes articulates the scheme of the main corridor, where different types of doors suggest the use of the room behind. 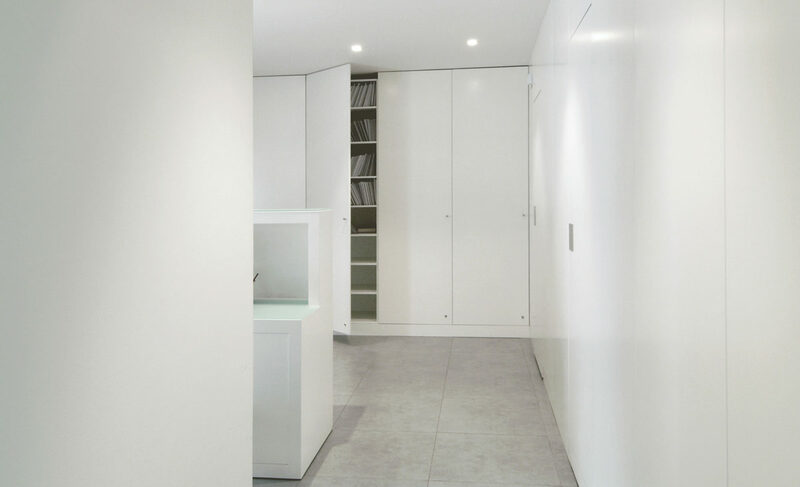 An interior elevation is conveyed by modulated lacquered wood panels, including some built-in closets. 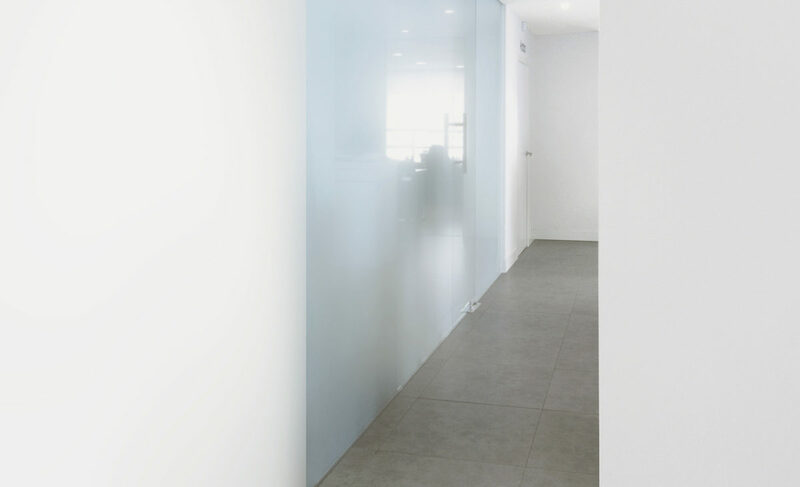 The frozen glass, used for the mobile partitions, creates an atmospheric blue shade, which contrasts with the warm brightness of the lights pouring from the ceiling.